Spencer Schomers scored the go-ahead bucket with 12 seconds left to lead Creighton Prep past Lincoln Pius X, 63-62, on Saturday. LINCOLN, Neb. 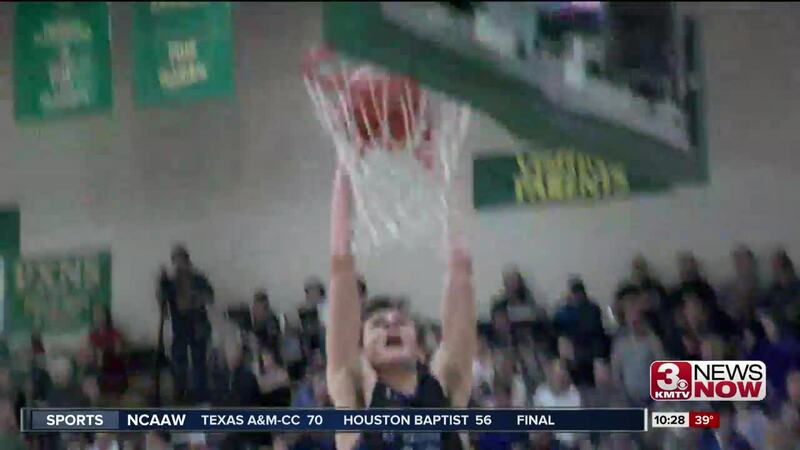 (KMTV) — Spencer Schomers scored the game-winning bucket with 12 seconds left as Creighton Prep edged Lincoln Pius X, 63-62, on Saturday afternoon. Husker signee Akol Arop scored a team-high 25 points for the Junior Jays.